Presenting the most grand Waterfront Estate on Otis Reservoir! As you approach the gated drive to the property you soon feel you are entering another world of carefree relaxation. This is enhanced by views of the property itself. Nestled in a quiet cove with a sprawling lawn to the water's edge, westerly facing views of wooded State owned land, docking for several boats and watercraft's all on the Otis Reservoir with 1,200 acres of water for your enjoyment. 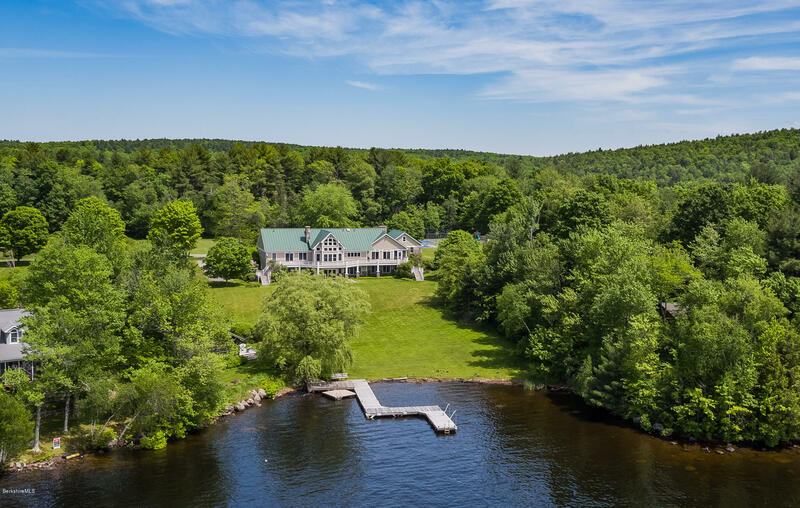 There's more!...296+ feet of waterfront, 9+ acres of land, tennis court, blueberry bushes, apple orchard, carriage house and garage. Last but certainly not lease a beautiful grand country contemporary home large enough for many family members and friends to share the most memorable moments!